The Gold Canadian Maple Leaf is one of the most recognizable coins in the world. 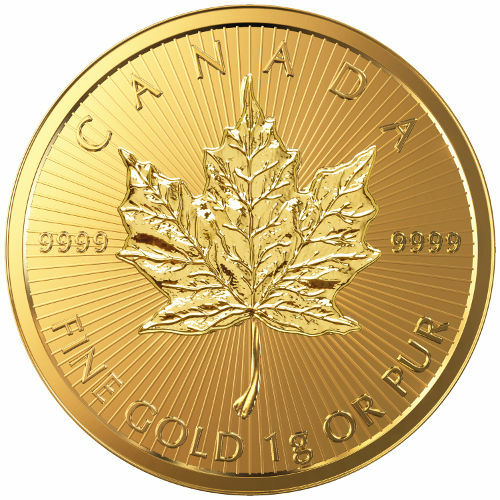 The official gold bullion coin of Canada, the Gold Maple Leaf is produced on an annual basis in a variety of versions and weights. Occasionally unique versions of the coin are produced, such as the Gold Canadian MapleGram. Today, Silver.com has the 2016 8 Gram Gold Canadian MapleGram available in BU condition. Arrives in a sealed sheet containing a total of 8 individual Gold Canadian Maple Leafs, and ships with a Certificate of Authenticity. Consists of a total of eight grams, or .2572 ounces, of .9999 fine gold. Each individual one gram coin bears a face value of $.50 (CAD) backed by the Canadian government. Features the famous sugar maple leaf image. 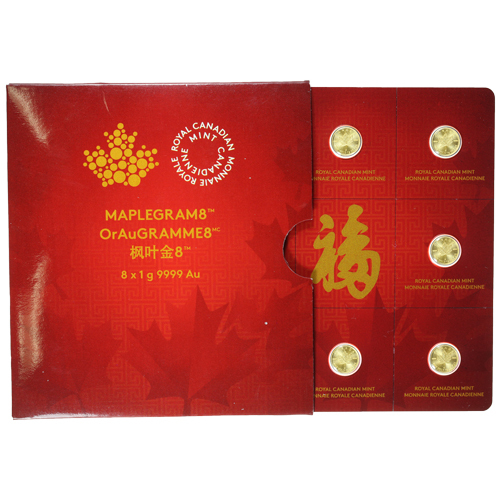 Gold Canadian MapleGram products are actually eight individual 1 Gram coins available from the Royal Canadian Mint. This particular product offers an affordable alternative for investing in or collecting gold bullion. 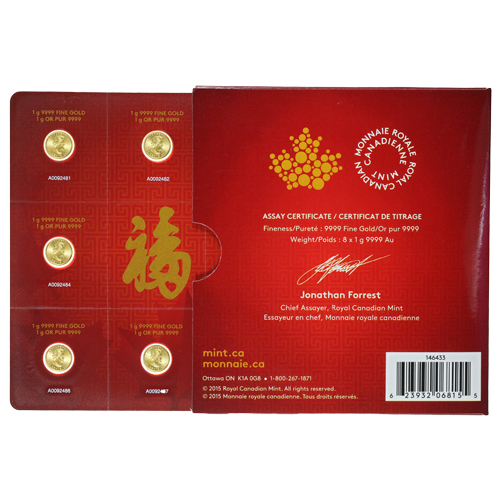 In this listing you’ll receive the MapleGram, which consists of individual Gold Canadian Maple Leaf coins packaged together and shipped in presentation packaging. Each of the individual 1 Gram Gold Canadian Maple Leaf coins available from Silver.com has a Brilliant Uncirculated condition. Coins in BU condition have no signs of wear and tear, though you may notice breaks in the luster, spotted surfaces, and/or contact marks. On the obverse you’ll notice the familiar right-profile portrait of England’s Queen Elizabeth II. 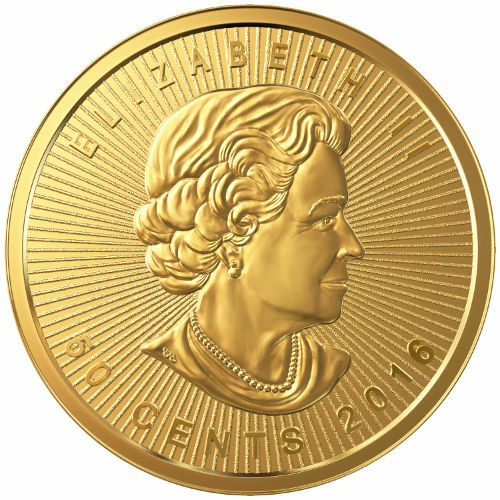 Her Majesty’s image has appeared on the obverse of Gold Canadian Maple Leaf coins since their introduction in 1979. This 2003 creation from Susanna Blunt is the third version of Her Majesty’s effigy to appear on Gold Canadian Maple Leaf coins. The Royal Canadian Mint stands among the upper echelon of world minting facilities. Constructed in 1908, it has struck products ranging from gold bars to pay off British war debts from World War II to Olympic medals, such as those presented at the 2010 Winter Olympics in Vancouver. If you have questions, please feel free to contact Silver.com at 888-989-7223. You can also reach out to us online using our live chat and email features. If you are looking for similar coins, check out our selection of Canadian Gold Coins.